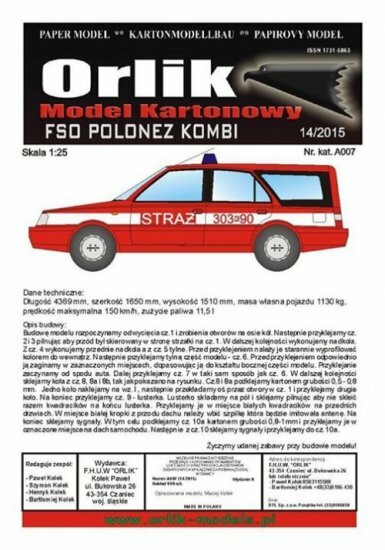 Very simple model of Polish civil car in fire brigade markings. Model for beginners. Scale: 1:43 designer: ? skill level: 1/5 Sheets with parts: 2 (A5) assembly drawings: 9 available accessories: none Simple model of polish van Tarpan 237S. Issue is not only intended for young modellers.